Hoary marmots are cool. Literally. They live all year round in the cool weather of the Canadian Rockies, hibernating over half the year during the colder months. With a little luck, you may see them in various places in Jasper National Park and the Canadian Rockies. They’re sometimes seen on mountain sides amongst the rocks or nibbling on grasses and plants. They’ll even eat ice for water. In Jasper National Park, keep a look out on Whistlers Mountain after getting dropped of at the top terminal and hiking up the Jasper Tramway. 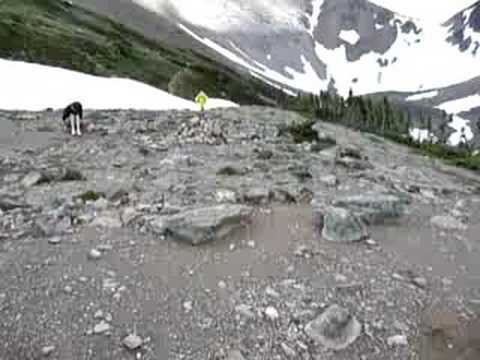 Throughout the Canadian Rockies, hikers have seen hoary marmots on trails like the Skyline Trail that provide the right habitat for the furry animal. 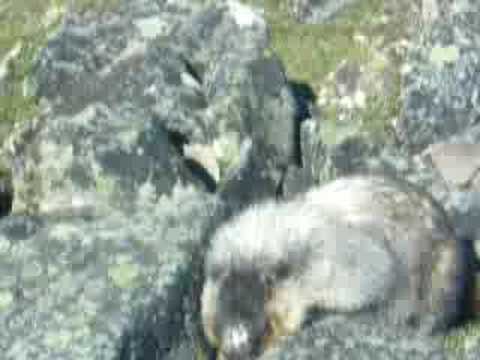 Here’s a few videos from YouTube from travelers who have seen hoary marmots in Jasper National Park and Banff National Park. 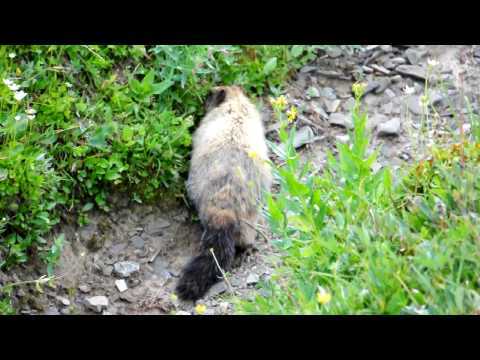 Marmots are also called “whistlers” because of the sounds they make. Listen to this. 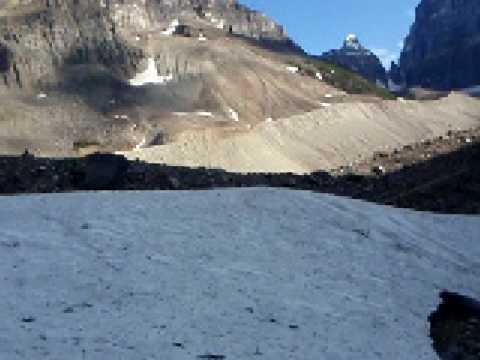 « Are you ready to take great landscape photos during your Canadian Rockies vacation?